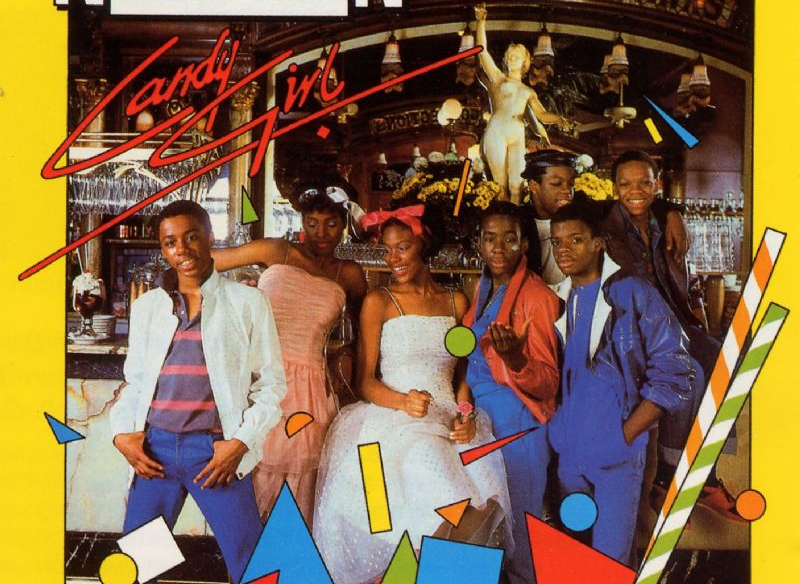 Remember New Edition's Candy Girl? Remember New Edition’s Candy Girl? This song by New Edition was the summer song in 1983. It had bubblegum love lyrics rolled up in an infectious beat. I had a huge crush on Ralph Tresvant and Michael Bivins and would pretend they were my boyfriends. (I would alternate between the two, I wasn’t dating them at the same time. A girl has a reputation to hold. LOL). My friends and I would meet outside after breakfast and play which of the New Edition members was whose boyfriend and name that song by humming the tune; however was the first to guess was the winner. I was great at this game because I would hum New Edition songs that weren’t played on the radio which always stumped my friends. I was a pro and wanted to win this game so I would hum songs like Stevie Wonder’s Stay Gold from the The Outsiders soundtrack. While they would hum Glamorous Life by Sheila E and Let’s Hear It For The Boy by Deniece Williams. We would play this game for hours as well as other games and just overall socializing. I couldn’t imagine playing name that tune via a cellphone, iPad or computer but that would definitely be the reality if we were kids today. In fact if we were kids today we wouldn’t know anything about the humming game because we would be communicating through gadgets. Communicating only through gadgets can make a person socially awkward which I see it first hand working at a University. Students sitting at the same lunch table aren’t talking to each other they are on their gadgets sometimes ttexting each other. It’s not just the younger generation falling prey to this issue, I am finding as a newly single person that that’s how the dating world function through texts. Long are the days of getting to know someone via a voice conversation it has been replaced with short hand texts and emoticons. As Tevin Campbell would say “Can we talk for a minute”.